Man, does it feel abnormal to be in the target market for a company’s marketing campaign! With most of my interests being in obscure or independent video games and intense board games, it isn’t very often that I come across advertising that appeals to some of my primary interests: geek stuff and eating. 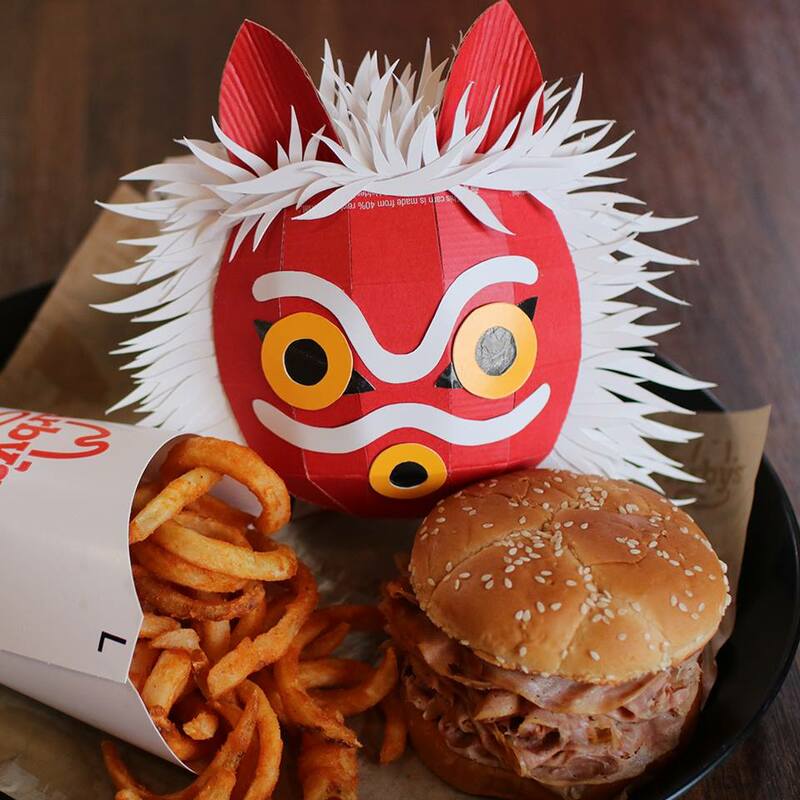 In case you haven’t seen it, some time ago, Arby’s launched a social media campaign of food art and papercrafted sculptures featuring a very long list of geek stuff. The twist? 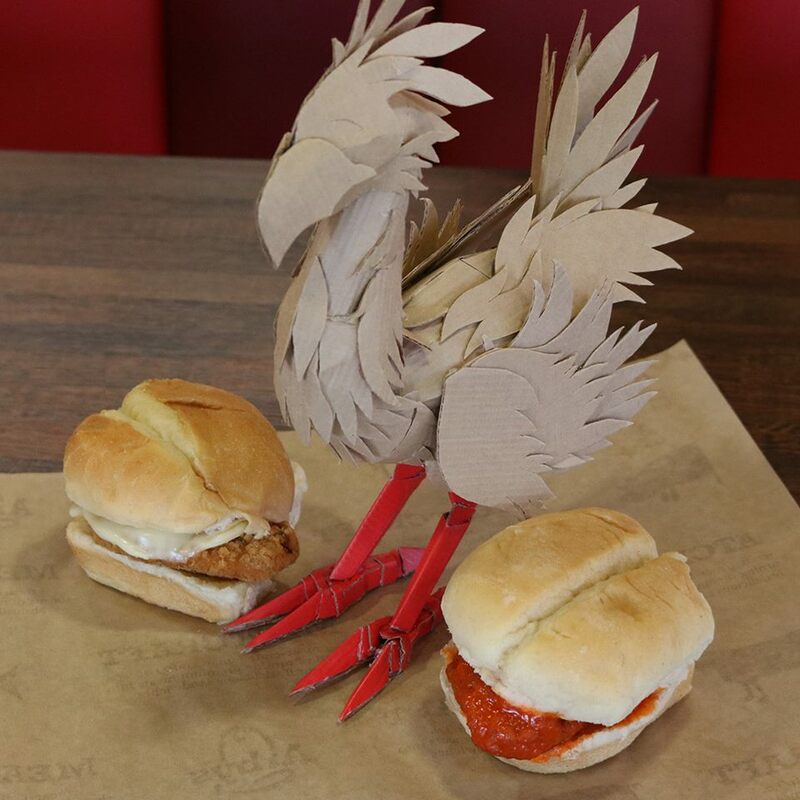 Everything is made from Arby’s supplies. 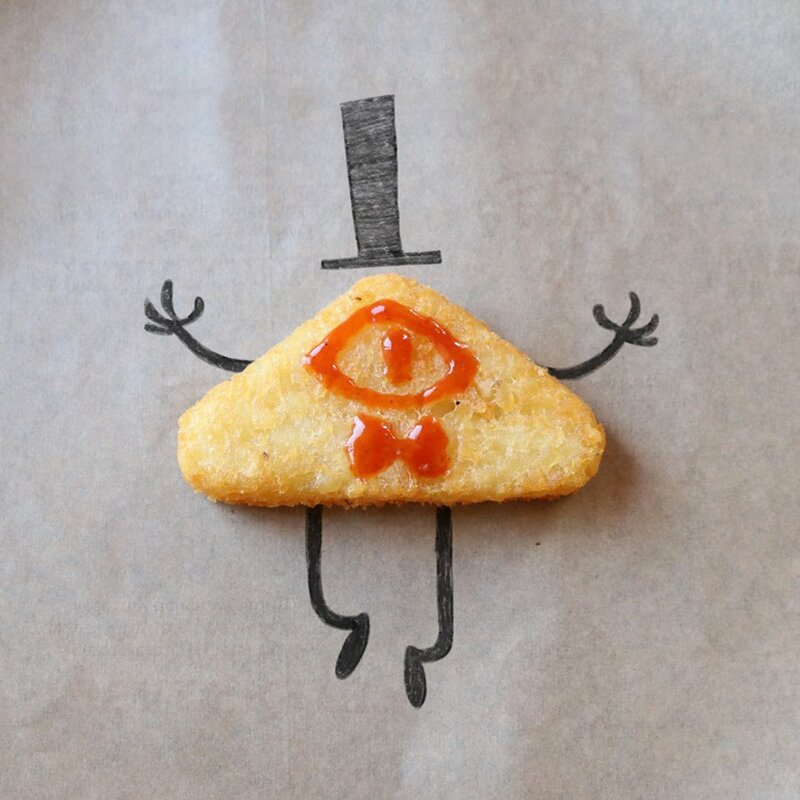 The creativity can range from something as simple as a mere potato wedge to represent your favorite triangular mindscape demon . . .
. . . and a new generation’s starter Pokémon from your favorite condiments . . .
. . . to things as complex as a cardboard Chocobo . . .
. . . and even San’s mask from Princess Mononoke! The creativity of these sculptures seems to know no bounds in terms of the distance they will go for a geek tribute, and I can’t get enough of it! Not only are these sculptures and artworks something that I find entertaining, I also consider them to be a victory for geeks everywhere. I didn’t amass a large set of geeky hobbies for recognition or attention; I fell in love with so many of these things because they deserve it. And for these hobbies to go from whispers at your cafeteria table in school to a club in college of openly like-minded individuals to consistent media recognition fills me with not only a large sense of pride, but also hope. Hope that, someday soon, the mainstream geek culture will call for larger budgets of our obscure loves, the ones that usually die after one season (cough Firefly cough). Hope for my next favorite Eastern-based RPG to actually get a sequel with a Western release! Hope for the continued progression of mainstream geekdom. Sure, the cliché trope of a small geek with taped glasses being stuffed a locker largely died in back in the early ’90s, but unless a recent Marvel movie or the newest Pokémon game has happened to trigger a spontaneous conversation outside of my social circle of geeks, it isn’t likely that I am going to find another one of my own in the office desk next to mine. So here’s to you, Arby’s! For bringing us one step closer to the foreground of marketing, and also tasty food! 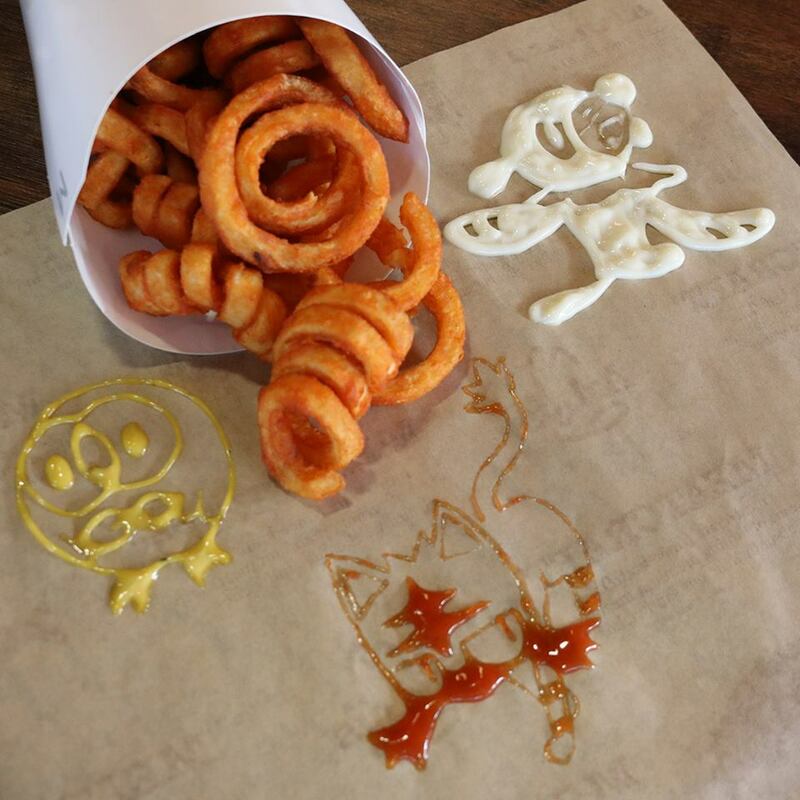 Check out Arby’s on Twitter, Facebook, or Instagram to follow all of their geeky creations.